We use the information collected at Beautycollection.ca for the sole purpose of completing the purchase order and to distribute promotions, newletters and to enhance customer experience. All electrical products have three months store warranty for an exchange only with the original receipt. Personal satisfaction does not warrant exchanges or refunds. Must be a defective item. 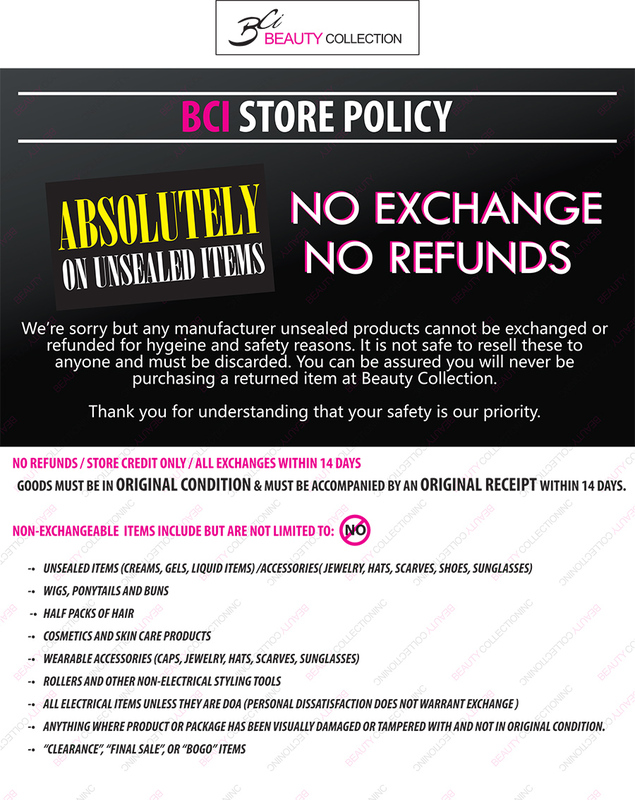 Please email us to request claim at info@beautycollection.ca.